"I wish I could please you tonight. But my medicine just won't come right." 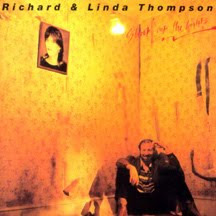 When Richard Thompson & Linda Thompson went into the studio to record..."Shoot Out the Lights"(1982)...it would be their final album together. The marriage was failing. Emotions were running raw. LOST GEM--> "Walking On A Wire" <-- is an emotional chainsaw. 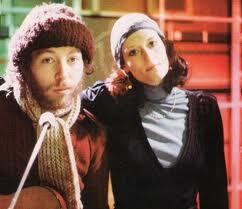 Linda's vocals are both sultry and weary. And finally, accepting. The couple's harmonies are back of the throat...and personal. Finally, enough can not be said about Richard's guitar work. It is an exercise in restrained pain. And then, on the final refrain...he joins in one last time offering a sweet guitar solo as if to untie the binds. I hand you my ball and chain. You just hand me that same old refrain. I wish I could please you tonight. But my medicine just won't come right. Too many steps to take. Too many spells to break. Your claws are tearing me. It's too long, too long to myself. When all the pain is on my side of the fence. Whichever way the wind might blow.